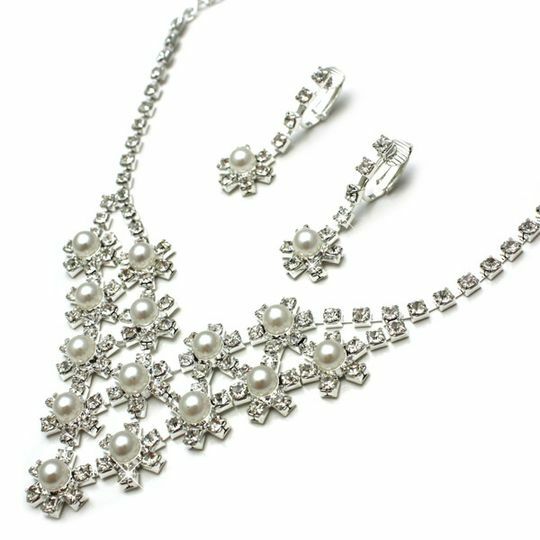 This pretty V-drop jewellery set will make the perfect finishing touch to an outfit! The Silver necklace has a chain that is encrusted with sparkly crystals leading to a formation of faux pearls and crystals. Sophisticated and extremely elegant! Necklace length fully adjustable from 36cm upto 49cm with a lobster clasp. Matching non-pierce clip earrings with a 3.5cm drop.